Kato McNickle is a playwright … artist … and dog wrangler living on the lovely Connecticut shoreline. She teaches playwriting at the University of Connecticut, and writing, acting and clowning at Artreach, Inc. in Norwich. Kato has won many playwriting awards including a Silver Clauder from Portland Stage in Maine, an Ensemble Studio Theater Fellowship in New York, and a Heidman Award Finalist from Actors Theater of Louisville. She’s a longtime associate of the Eugene O’Neill Theater Center and a member of its artistic council, is Vice President of the Board of Directors for The Mystic Paper Beasts, a graduate of Brown University, a member of the Dramatists Guild, and of the Star Wars Fan Club. 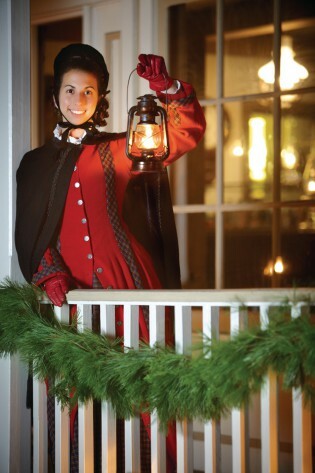 Due to flooding on Museum grounds, Friday night’s (December 21) Lantern Light Tours are cancelled: We will be contacting ticket holders to issue refunds and we apologize on behalf of Mother Nature. Please Note: The remaining tours are sold out.